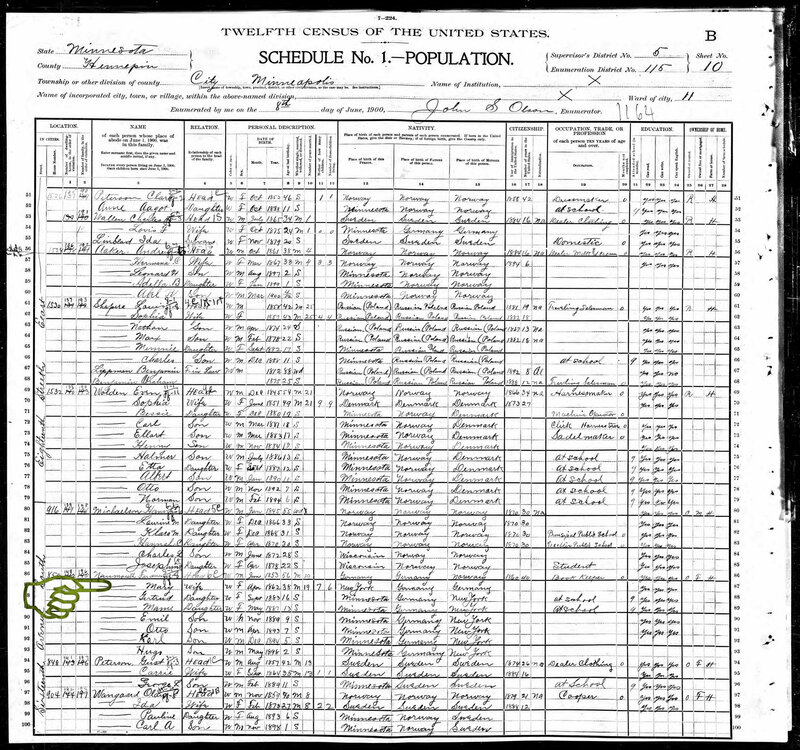 The 1900 census is one of my favorites because of columns 11 and 12; ‘mother of how many children’ and ‘number of those children living’. The genealogist side of me sees this information as an important piece of the family group puzzle. But as a mother the numbers tug at my heart, especially when there is a face attached to them. 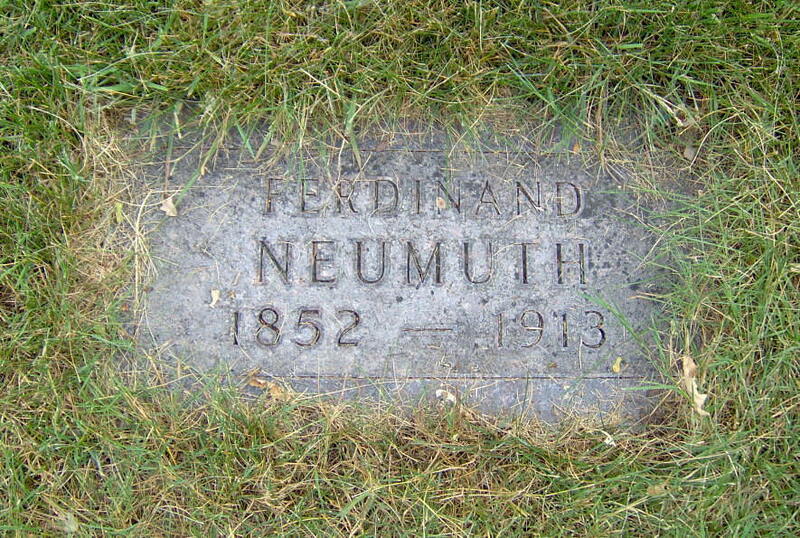 The child that Ferdinand and Mary Neumuth lost was their six-year-old daughter. 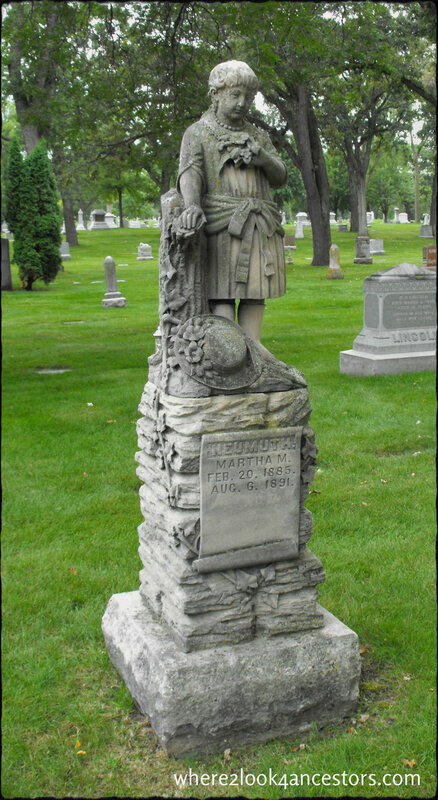 Martha Neumuth was laid to rest in section 8 of Lakewood Cemetery in Minneapolis shortly after her death on 06 Aug 1891. 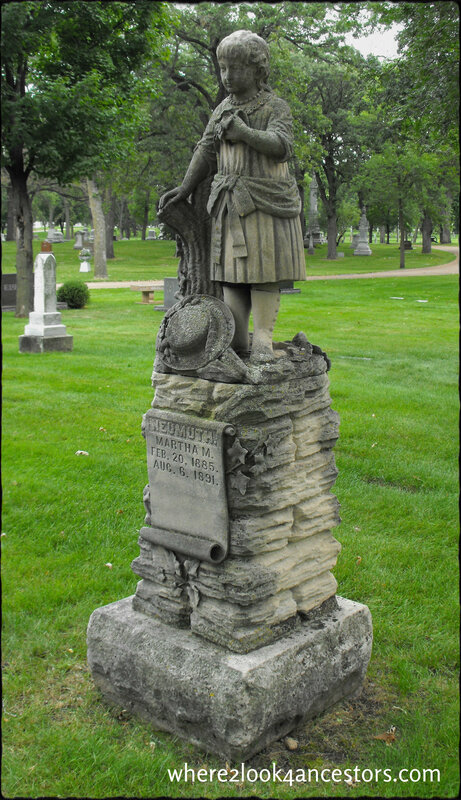 Her headstone is painstakingly detailed from the top of her pearl necklace to the buttons on her boots. 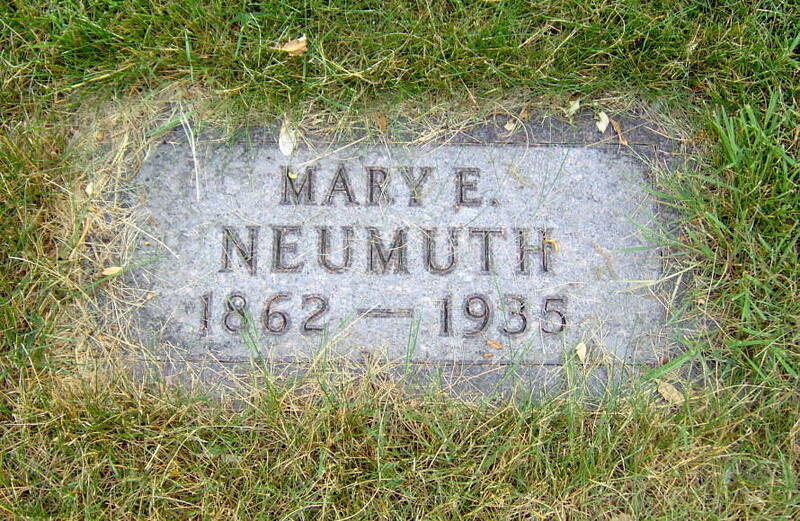 This is especially touching since her parents’ headstones are so unassuming. You can see a photo of Martha’s parents here. I hope you’ll consider leaving flowers for them. How terribly sad. Do you know what she died from? You know, I don’t – but now you’ve made me wonder! I may have to find out! I find that I am so shocked every time I see the death of a child that I want to know why. And then I feel very thankful for modern medicine. I feel the same way – on both points. How did I miss this information?! Maybe because there are so many things to see on every census, it’s hard to see them all? 🙂 If this post encouraged you to revisit some census records and (hopefully) find new clues, my work here will be done. LOL Glad you enjoyed the post Luanne! Haha, thanks for making an excuse for me! It definitely encouraged me. Thank you! That is an amazing monument.